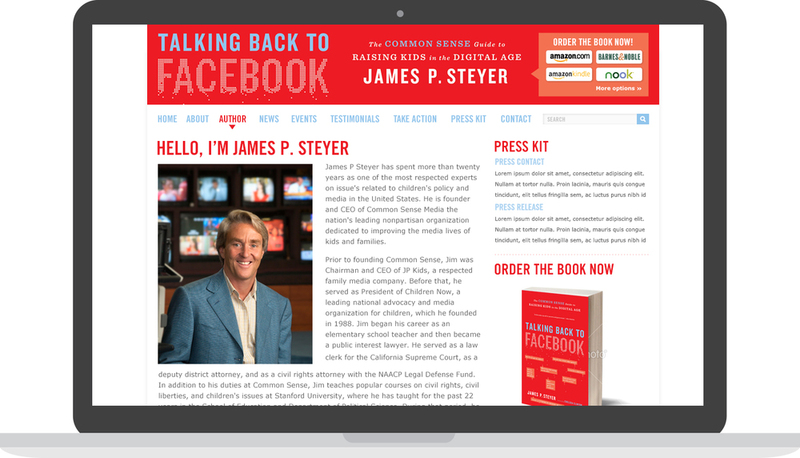 Talking Back to Facebook website, promoting the launch of Common Sense Media's Founder & CEO Jim Steyer's book. Worked with the project manager & engineer to create a design based on the look & feel of the book. 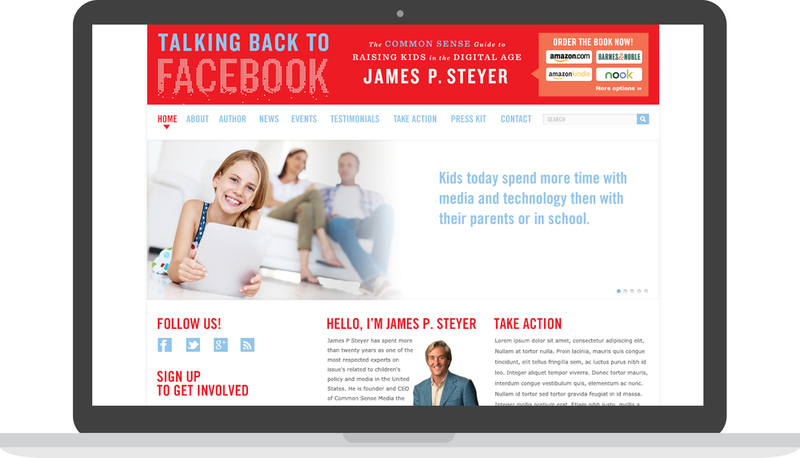 Process included initial mock ups, edits, and final production of assets for the website.